Three Off The Tee: Peaked Too Soon? Hello one and all wherever you are. I hope 2019 has started well for you and that you've managed to somehow scratch that golfing itch to some degree so far. Thank you to everyone that read my last blog regarding the Three Off The Tee Youtube channel (if you missed out there's a chance to get with the programme and read it here The Three Off The Tee Youtube Channel Blog) and if you have watched any of the videos and more importantly, subscribed to the channel then a huge thanks. There will be a very brief update video coming soon with my aims for the channel in 2019, an idea of the type of content coming this year and hopefully a chance to get you involved. Having got that brief plug out of the way early doors, let me proceed to to the heart of the matter and address the title of the blog. Have I peaked too soon? If you have read any of my recent blogs (thank you) or follow me on social media (Twitter - @hackergolfer, Facebook - Martin Bedborough and Instagram - hackergolfer) then you may be aware that since December I have been playing some steady golf which has continued into the new year. I managed a third place in Royal Ascot Golf Club's new year competition (open to both the men and women) on 5th January, which was a non-qualifying event for handicap purposes, have had a few pick ups in various roll up events and was down to play in the January monthly stableford on the 12th, off the yellow tees and which was a handicap qualifier. What I have also done, is cut down on my practice, restricting my visits to the range to maybe once a week, but there have been weeks where I've not gone and hit balls at all. I'm listening to the words of some wise old heads at the club that say I simply need to get out and play more often. Now, up to a point I agree. However my focus has changed and I want to dedicate a large proportion of my practice once we can get back to the club in the evening, to the short game. I have actually been pitching well and chipping better than expected off the wet, muddy winter conditions but I want to work really hard on distance control, improve my chipping and bunker play and really knuckle down to improving the putting. 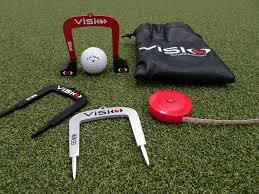 With regards to the putting, my lovely wife treated me to a Visio putting mat (Putting Mat - 12 degrees) and the Visio putting gate pack (Visio Putting Gates). I've been using these indoors already and although it's early days, initial signs are positive. I will be reviewing both products for the Youtube channel in due course. The bottom line is, improving the short game and putting seems to be a long term solution to making better scores, even when ball striking is off. So, having typed all that and wasted thirty seconds of your life reading it, I decided to hit the range on the Monday (7th) and hit some balls. I wasn't trying to change anything per se and merely wanted to keep the swing and tempo ticking over. Nothing wrong in my golfing mind. What happened next was a disaster. 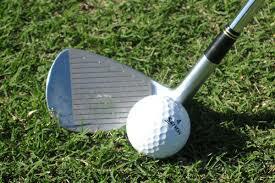 We all know that you should stretch, warm up and begin by hitting a few short pitch shots. I did parts one and two but when it came to putting club on ball, I proceeded to shank (yes I said the dreaded word) every pitch. Deep breath, relax and pull a wedge and hit a few easy full shots. Socket, right and repeat. Five minute time out, check basics and pull a nine iron. Socket, right and repeat. Basically bar perhaps ten balls, everyone was a socket rocket to the extent I left a lot of balls in the basket and exited home in a grumpy mood. All the confidence exuded from playing so well evaporated in a twenty minute ball thrashing frenzy. I tried so hard to slow it all down, check basics, rehearse and execute to no avail. So what to do next. Nothing for it but to get back on the horse so I went back on Wednesday and managed to find something and I hit it half decently. Instead of leaving well alone, I went back on the Friday. Back to the socket rockets with a mixture of good ones chucked in to really scramble the head. No worries thought I. 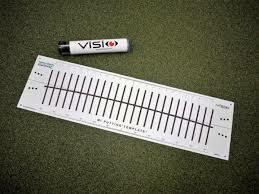 Hit the practice ground before I go out, hit twenty balls, relax and go and play. That would be too easy and no, back came the rights. Perfect and with only twenty minutes until I tee off. The competition was off the yellow tees and so the first shot would be about 160 yards to the opening par 3. A perfect scenario to someone incapable of hitting irons straight. Let me simply say my opening tee shot was a combination of prayer, clenched buttock cheeks, a swing designed to try and find any part of the face except the hosel, and using more club than usually required. Somehow it went forward. Not a solid strike (a pattern would emerge) and not a technically sound swing but it found the back of the green and allowed me to two putt for an opening par. I'm not really sure how to put into words what played out other than I took the old adage "it's not how, it's how many" to stratospheric new heights. While the driver wasn't on fire it didn't put me in too much trouble. However it was the irons where the issues lay. I don't know if you've been afflicted by the shanks, but it is really hard mentally and the worry over each shot is where will it go. Given my pitch shots had been affected it bled down into those shots on the course. How then did I manager to play the front nine in two over par gross. I really, honestly, truly didn't feel like I hit a single iron or pitch shot well. I wasn't swinging with any conviction or freedom, less I hit the hosel. 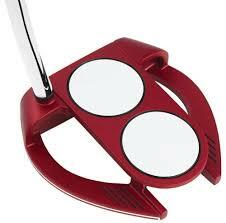 Granted I made some good putts and my new Odyssey Red O-work two ball fang putter (why do Odyssey give them such funky names?) was doing the business. The trend continued on the back nine. I was playing ugly but this was definitely my day. Even when I couldn't manage to find a green, I contrived a way to get the ball close. The back nine at Royal Ascot definitely plays harder in my opinion and so to play that in five over gross for a grand total of 77 gross (+7) and a massive 44 stableford points was beyond my wildest expectations even on a good ball striking day. Granted there were times when I rode my luck on the back nine, none more so than my drive at the last which I carved right but it managed to miss the out of bounds, land under a tree but still give me a back swing to progress it down the fairway. I bailed out left to take out the pond that lurks short and right and then played a sublime pitch stone dead to salvage a six. That had been what it was like all round. Unsurprisingly, 44 points was enough to take division 2 of the competition by a decent margin. The good news is it should qualify me for the end of season "Masters" event for all division winners in monthly stableford and medal events as well as those winning other main club competitions (Captain's Day etc). That'll be the third year running now I've been in it so I am definitely doing something right each season. The even better news was I got a massive handicap cut from a starting position of 14.5 down to a new mark of 12.4 so I am now officially off 12. That was my goal for the season so I can't help feeling I've gone too soon, although it's tempered by the knowledge one bad round pushes it back to 13 again. All in all then a grand day out you'd think. And here dear reader is the nub of the post. Fantastic that I won, even better that after ages the handicap is on the move the right way. Dare I even mention "The Quest For Single Figures?" However and this is where I think people will take issue, it really feels in many ways a hollow win from a personal perspective, I absolutely hated the way I hit the ball from start to finish and took no satisfaction over the quality of my golf. I had some luck, made some putts that on other days wouldn't have gone in and in my golfing heart feel I got lucky. I have played far better golf for far less return. I posted on social media once the results were confirmed that golf is stupid and it really is. I basically spent the whole round trying not to his a hosel. That was the limitation of my thinking over the ball, so no focus on the shot, what I was trying to achieve and how I was going to swing the club to get the desired shot. My mind definitely wasn't clear, just the normal thought process had shifted to the anti-shank. Not really something I recommend going forward. In the end though, I have to be in the glass half full (if not full up) camp. A massive cut and a win is always welcome irrespective of how you achieve it and while it was definitely "my day" it's nice when that happens. We all have far too many days where you know the golfing gods are yanking your chain. As always, as is my golfing DNA, maybe I'm being way too hard on myself and in the end found a solution to a problem. I went out on the Sunday with the normal roll up and simply swung and guess what, not a sniff of a shank. Suffice to say I'm giving driving ranges a wide berth for now. Thanks as always for reading another opus and your continued support. As I've mentioned, don't forget my Youtube channel (Three Off The Tee Youtube Channel) and if you'd like to get involved filming an on course vlog or help with product testing, please let me know. Don't forget to subscribe if you haven't done so already as it really makes a difference. So then a rather eventful start to the year. I definitely think I'll feel the three shot pinch for a while but if I ever want to make it to single figures I need to get use to playing off 12 and then go lower again. I definitely feel engaged and ready for the warmer weather and see where I go and I hope you join me on the journey. I think it'll be a good one. See you for the next instalment soon.